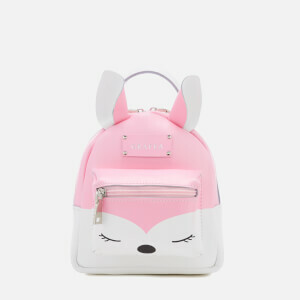 Women's mini leather backpack from Grafea. 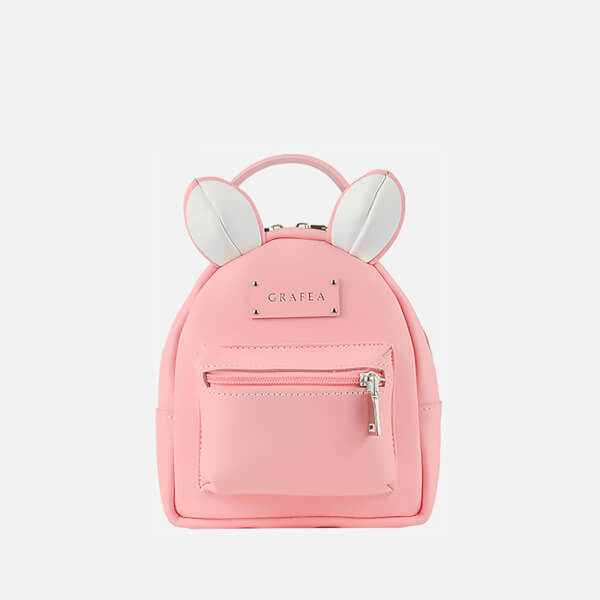 Crafted from genuine leather with a novelty design, the mini 'Zippy Mouse' rucksack has been adorned with a pair of mouse ears to the top, and features a zipped pouch pocket to the front for extra storage. Secured with a two-way zip around fastening, the bag opens to reveal an unlined interior. Complete with a pair of adjustable, removable shoulder straps and tonal top handle. Silver tone hardware. Branding to the front.